Thinking of renovating? We have just the inspiration you need to get started! 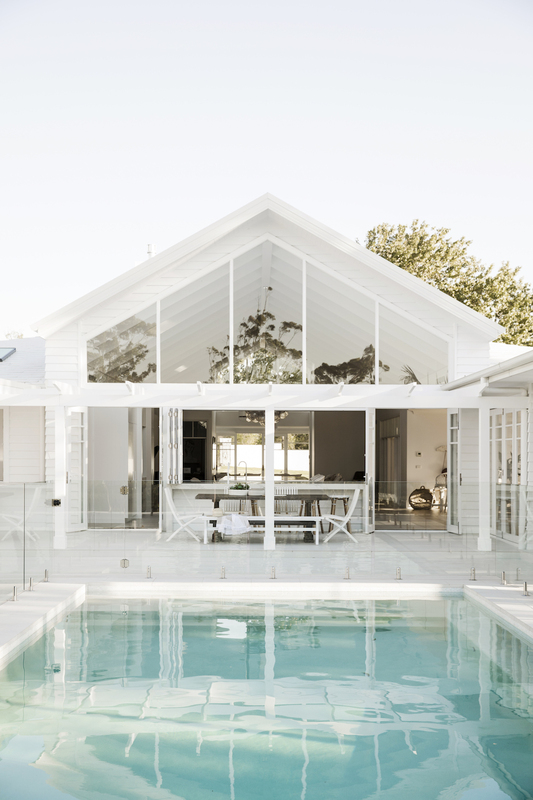 It was safe to say our jaws dropped when we saw this incredible house of Bonnie's from Three Birds Renovations. 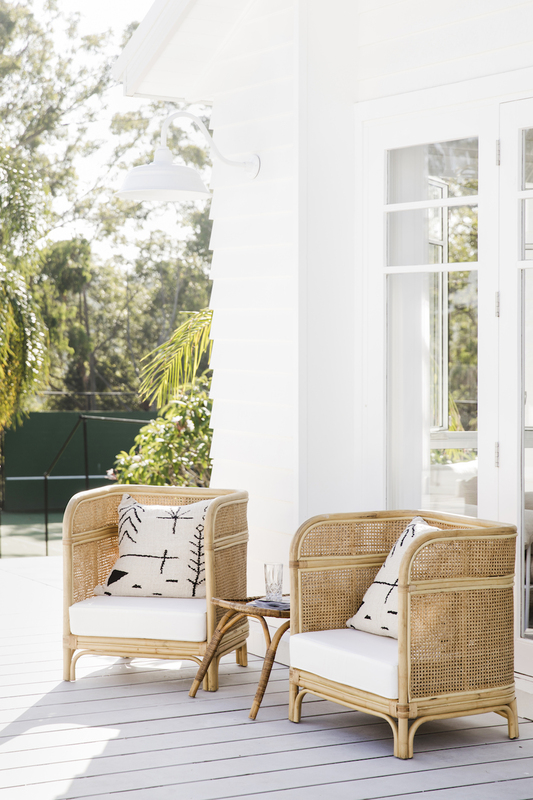 After years of renovating other homes and dreaming up ideas for her own, it was finally Bonnie's turn, so the Three Birds (Bonnie, Lana and Erin) renovated the family home to create Bonnie's Dream Home. 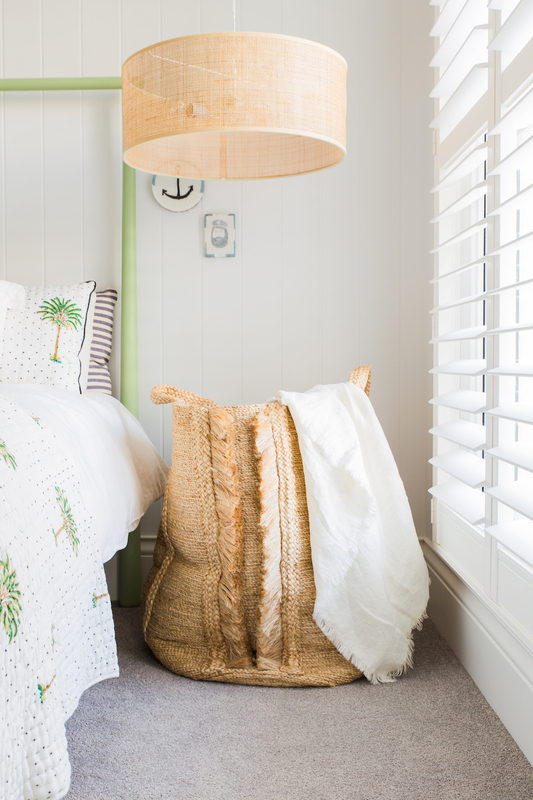 Using some of their favourite The Beach People pieces, you will be inspired to renovate your own home or style up a room in a new way. We spoke with Bonnie about what inspired her dream home, her top tips for renovating on a budget and what trends to buy into. 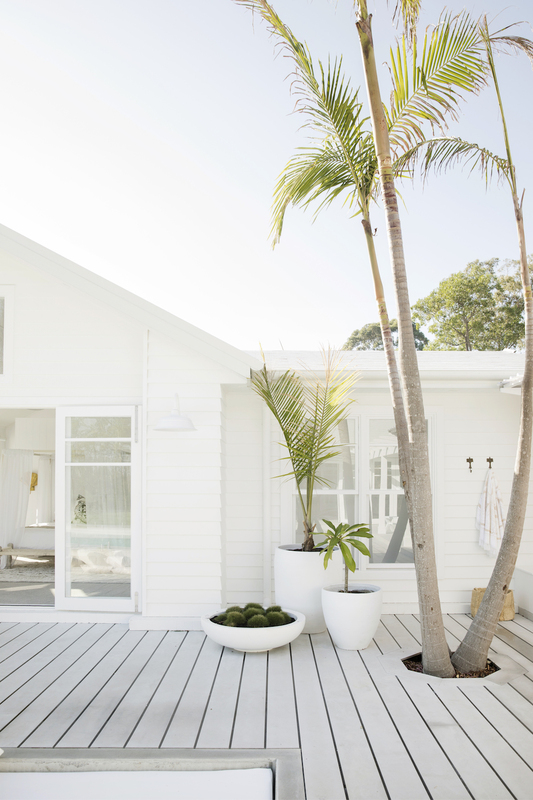 See the beautiful home and shop the looks below. 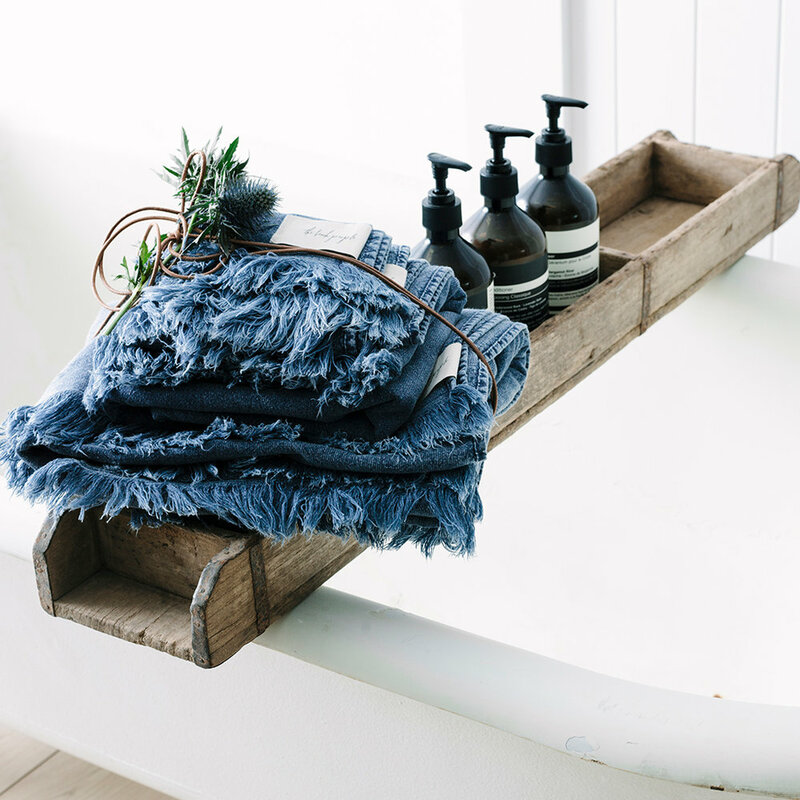 The overall style was pretty much based on the fact that we were living on an acreage, and also that I just absolutely loved the beautiful coastal homes on the New Zealand coastline, that have that nod to country living if that makes sense? So that's where we kind of came up with the whole, “coastal barn” idea. 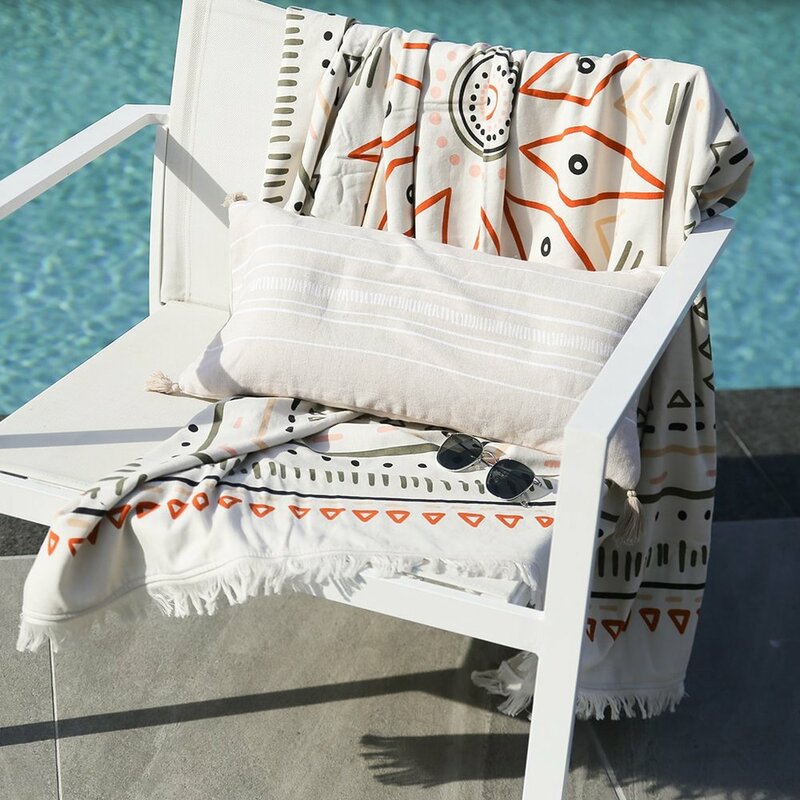 The dreamy Mirage Roundie poolside, $99, shop online here. 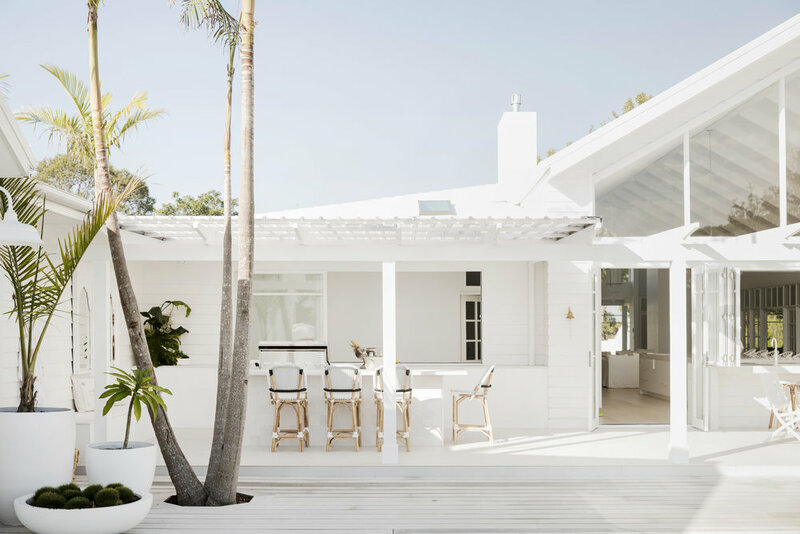 The style was inspired by the fact that the house is built on acreage, as well as my love of homes found on the New Zealand coastline, which still have a nod to country living. This is how the “coastal barn” idea was inspired. Do you have a favourite room in your home and how did you decide on it's theme? I do... when I first moved in I didn’t, because obviously I just loved everything and thought it was all amazing to be in, but now that I’ve been living in it for 6 months plus, my bedroom is just this sanctuary I can escape to and I feel like I’m in a different world. There's chaos in my house and everyone's running around like mad men, but it’s just this beautiful little spot that I can go and escape. I really wanted the bedroom to be very fresh and simple, obviously there’s just a lot of white, and it has some statement pieces in regards to lighting. Lighting was always going to be key for me. I love a really simple space styled beautifully with linen and things like that, but then having a pop of an amazing wall sconce or pendant light. What is your favourite element or feature in the home? 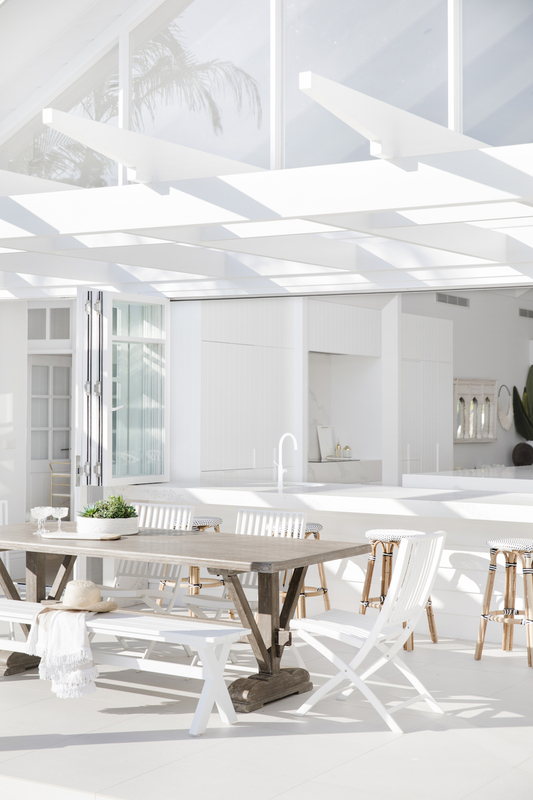 I think it would be the main body of the house, which is those huge raised ceilings when you first walk in, where the kitchen sits. That would be my favourite feature of the house, only because I feel like when you walk into the home that's what gives you that, deep breath, 'WOW' feeling. The most difficult part of the process was the budget. This was because it’s such a large property, which is situated on 5 acres of land. Every time we got something quoted, it wasn’t small. This renovation wasn’t like our previous projects where we could estimate what the cost was going to be, it was much bigger and scaled. So the budget would probably have been the hardest thing for me. 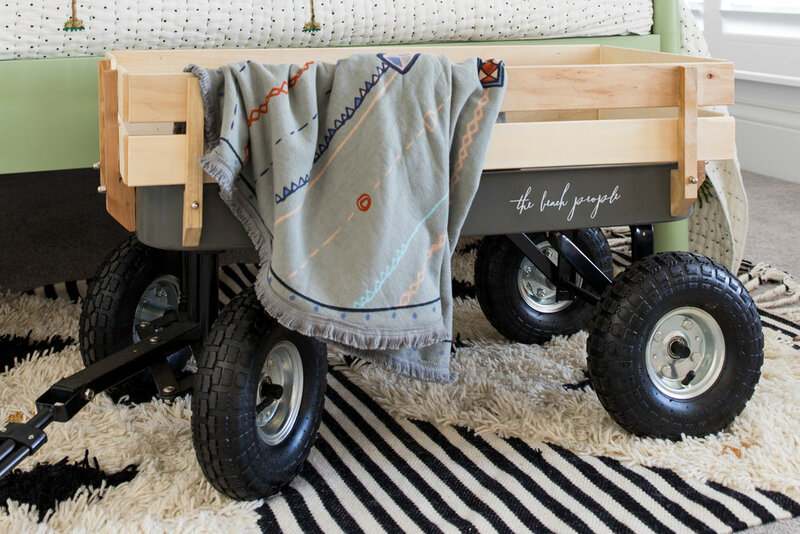 Our Beach Cart is the perfect addition to any children's room. Tow your little one along to the beach or park, or load it up with food and drinks for an afternoon spent down by the sea. The Beach Cart is $245 and available to purchase here. Pictured here, the Eagle Petite Poncho, $79 available to purchase here. 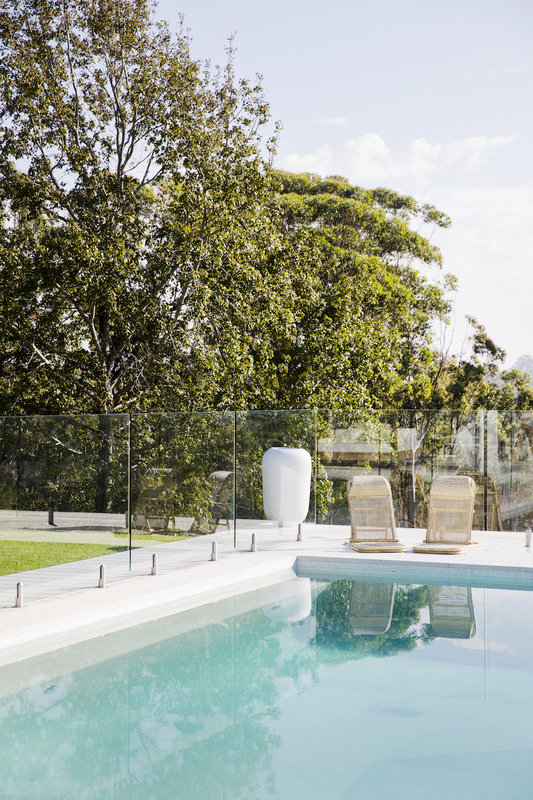 Are there some ways we can cut corners in a renovation and still achieve luxury? I’m a massive fan of trying to achieve a really beautiful look on a tighter budget. Sometimes in certain areas, I feel like there’s places within your renovation that you can really save and then there's places where you can really kind of splurge in and where you should spend money. Doors in your home is a big one. I feel like you can get some really cost effective beautiful doors, internal doors in your home just from Bunnings [or discount hardware stores]. Then on top of that you can make those doors, into something even more beautiful, like doing a barn door hack, which is what I did in the laundry, and that big barn door was just made of two Bunnings doors stuck together and then we just put some detailing on it with the builder. 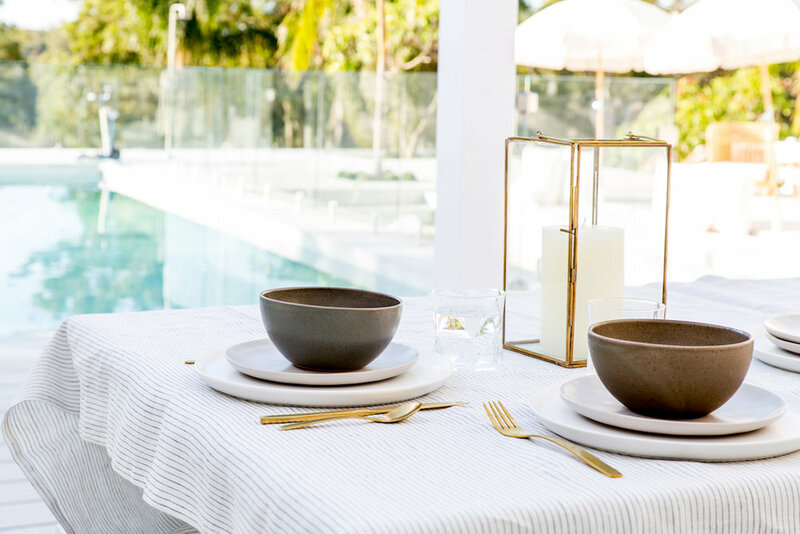 Style up your entertaining area with our Linen Tableware, perfect for long lunches by the pool and evening dinners indoors. Available in both White and Blue Stripe with matching Napkins and Coasters. Were there any last minute changes to your original plans? I am notorious for it. I usually walk into the room and say to the builder, "oh can you just take out that ceiling now", or "can you create more height? ", or whatever it might be. When you are renovating a pre-existing home, sometimes things pop up and you do have to change, but because we only ended up keeping two of the walls due to termite damage, in essence this renovation was like a new build, so we didn’t tweak a lot. To be fair, once we found out it had to be knocked down, I think I spent so many hours staring at plans, and imagery, that I really, really, knew what I wanted for this home. It was probably the first property I didn’t change too much, in comparison to other properties that I have renovated. Mirage Roundie, $99, shop online here. If budget permits, a beautiful ceasar stone bench. I feel like it will last a very, very, very, long time, and marble always lasts... well in my mind! I can’t imagine in 10 years time I’m going to hate marble, I’m still going to love it. Engineered stone is perfect, you can get marble look a like which is a little more cost effective. Another one for me that isn’t going to date is white. I’ve loved white since I was a little girl and I’m now 40. The larger pieces that you purchase for within your home like your lounges and things like that, I think that the colour that you choose, is really important, the fabric you choose, is really important. I love a linen lounge, I love something that you can throw in the wash, and it comes up new the next time you put it on. Anything with covers, anything you can wash with covers is a long lasting furniture item because you get that longevity and it's not going to get ruined. 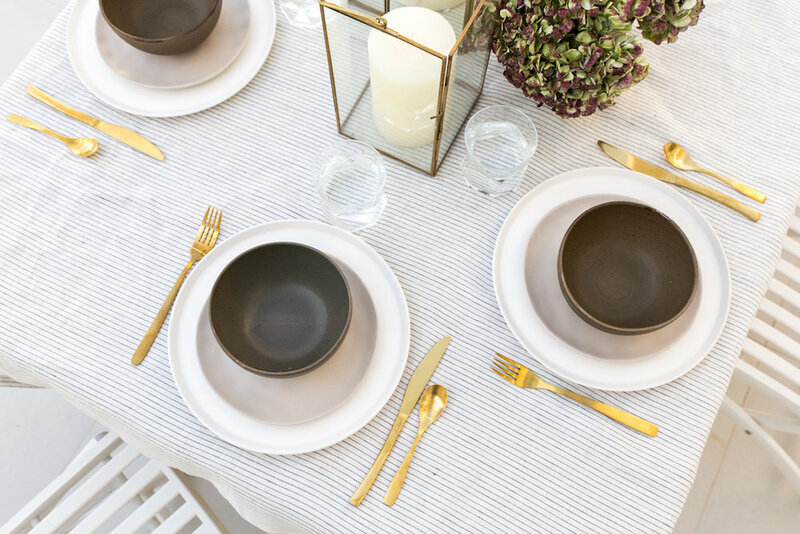 Pictured here, the Blue Stripe Linen Tablecloth, $89, shop online here.